Editor's Note: We were saddened to hear of the recent passing of Jason Hairston, founder of KUIU. Hairston was a good friend and avid reader of Petersen's Hunting. After killing a record Desert Bighorn in California during the 2017 season, Hairston came to us with an exclusive on the hunt. We were honored to feature his story "Going After Goliath" in the August, 2018 issue of the magazine. He will be greatly missed by the staff of Petersen's Hunting, and our thoughts are with his family. Jason Hairston couldn't be at the Wild Sheep Foundation's annual national banquet in Reno, Nevada, in January 2017. But Hairston, the founder of hunting-gear company KUIU, was at the Sheep Show in spirit. Every year, California donates a single sheep tag to this auction. The winning bidder gets to hunt any open zone in California, and revenue from the tag goes directly to sheep-management projects in the Golden State. Only it wasn't Hairston doing the bidding. It was his wife, Kirstyn, who was on the phone with Brendan Burns, director of KUIU's guide and outfitter program. Kirstyn knew how much her husband wanted this tag, and she was determined to buy it for him. When the bidding stopped, Hairston had the tag, in what Burns called a "swallow-a-walnut" moment of anxiety. But Hairston also had a plan. Heâ€”through his wife and friendâ€”wasn't bidding just on a hunting permit. He was bidding on the chance to hunt a specific animal: a world-class ram that was also one of sheep hunting's biggest enigmas. "Intrinsically, it made no sense to pay the same price for one desert sheep tag that could buy four Tiburon tags," said Burns, referring to the mountainous island in Mexico's Gulf of California that's one of the go-to places for desert sheep. Tiburon is where most of the full-curl class, as those who hunt North America's sheep species are called, go to finish Grand Slams. The desert sheep is considered the hardest-won, because the sheep exist in small numbers and the demand inflates the cost of licenses. But Hairston wanted to finish his Grand Slam in California for two reasons. As a native Californian, a desert sheep from the Golden State meant more to him than one from elsewhere. He also had heard rumors of a ram so big and perfect that it might establish a new state recordâ€”if only it could be found during hunting season. The ram was called "Goliath," emphasizing the dimensions of his horns and he possessed near-mythic ability to vanish into the wilderness of sun-blasted rock and yucca where he lived, in the Orocopia Mountains of extreme Southern California. For three years, the ram had been identified as the top sheep by outfitters whose clients had bought the same open-zone California tag Hairston purchased. Hairston, though, didn't want to hunt with those other outfitters. He had been fixated on Goliath since up-and-coming outfitter Jake Franklin had brought a photo of the ram to the KUIU offices back in 2016. "The minute I saw that photo, I had a connection with that ram," said Hairston. "I know it sounds unbelievable, but I knew I was going to tag Goliath. I knew I'd find him and kill him." Nicknamed "Goliath" for his size, the new California state big horn sheep grossed 191-7/8, captured here in a trail camera photo. That's why missing out on the Sheep Show auction tag in 2016 stung so much. Hairston and Franklin spent that fall worried that any dayâ€”every dayâ€”they'd hear Goliath had been killed by the holder of that year's Governor's Tag. But through the sheep grapevine, they learned that Goliath had disappeared, as was his pattern during every hunting season since 2014, when his outsized horns made him a distinctive trophy. "Same story in 2014 and then in 2015," says Franklin. "In 2016, we put eyes on him in the summer, and we kept pretty good tabs on him, right up until the season, when he disappeared again. He was simply a different ram than he had been the year earlier. He had put on nine to ten inches of horn and was the undisputed state record on the hoof." Then 2017. Hairston had the tag and had tapped Franklin to guide himâ€”entirely on the strength of that trailcam photo of Goliath and Hairston's gut connection to the ram. "We didn't see a sign of him until he walked in to water in August," says Franklin. "You could tell this was his last year of being alive. He had officially aged. Up until then he had been a strong brute. He looked like an eight-year-old. But this year, he had gray on his face. His hips were sunk in. He was an old man." An old man that Hairston wanted to meet. "I grew up in southern California and hunted the desert for deer with my dad," he said. "My grandparents had a place in Palm Desert. You can almost see the Orocopias from there. There were a lot cheaper ways to finish a Grand Slam than buying the California Governor's Tag. But if Goliath was living in Arizona or Nevada, I wouldn't have had as much motivation to hunt him." Problem was, Franklin couldn't find Goliath. The ram had been visible, either by spotting scope or trail camera, from August through October, just as in previous years. But as he had done every fall, Goliath simply vanished a few days before the hunting season opened in November. Where had he gone? The choices included a nearby military reservation, off-limits to hunting; some remote corner of the hunting district; or one of the many cracks and deep canyons that crease the Orocopias, which hang like a drying pepper above the desolate Salton Sea. The day before the season opened, Hairston was on the scene, ready to fulfill what he considered the inevitability that he would encounter Goliath. Also on the scene: Franklin, Burns, a handful of other world-class sheep guides, and Hairston's young son, Cash. "For days, we cut that mountain range apart," remembered Burns. "We found every other ram, but we couldn't find him. I'm not going to say he was self-aware, but he was pretty wily. He was a loner." Franklin recalled those tense daysâ€”the outcome of a once-in-a-lifetime tag hanging on his ability to turn up a world-class bighorn ramâ€”a little differently. "With every sheep I've hunted, there's one basic thing: sheep are sheep," he said. No matter how young or old, they still have their standard bighorn sheep traits. If you remember that, then it's just a matter of picking apart the places they live. But we were running out of places to look." 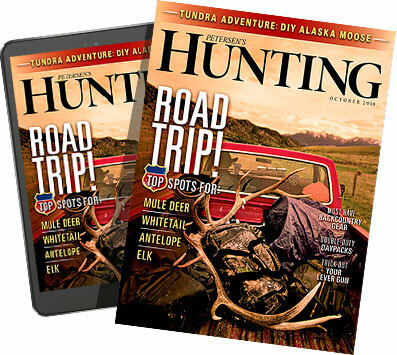 The team, including 10-year-old Cash, hiked miles through oven-hot canyons, climbed the hunting unit's highest peaks, and poured over maps and trailcam photos. Then Franklin, nursing a hunch, suggested an unorthodox strategy. "Jason and I stopped for lunch, and we reviewed what we knew, which was that every time we had seen Goliath, he had approached from the north," said Franklin. "There's not much country to the north, but there is one outskirt mountain range. Thing is, we've never seen a ram up there, even though we have a camera on a [water] guzzler. But when I told Jason that some desert sheep can live for nearly a year without taking a drink, that they live on barrel cactus, he was adamant that we needed to go look at that range." The low mountains are called the Billy Bobs. They're not much to look at, just some grubby hills close enough to Interstate 10 that you can hear the rumble of trucks on the freeway. "We drove up there, and as soon as we got into the country, I saw the greenest grass in the unit and a barrel cactus that had been busted open," said Hairston. "Jake had told me that ewes can't break open barrel cactus, but that rams can, by using their horns. I knew we were in a special place. The hair just stood up on my neck. 'There's a ram here,' I told Jake. Then I said, 'We're going to hunt it until you prove to me that he's not here.' I was willing to bet my entire stake on the Billy Bobs." "We glassed from as far away as possible," said Franklin, "but the maps showed some cuts and basins that you simply couldn't see from the outside. You had to go up the middle." Hairston, Cash, and Jake had started hiking into the gut of the Billy Bobs when one of the guides that was posted on a high spot reported seeing ewes, before blurting, "Giant ram! Giant ram! Giant ram!" "I knew right then it was Goliath," Hairston said. The party backed out, and Hairston and Franklin returned for the final stalk. "We wanted to get the wind right and make sure we approached where we wouldn't spook him," Hairston said. "We peeked over a rim, and there he was, just under 300 yards out. He was bedded broadside to us and facing us, but he had no idea we were there. I told Jake I wasn't even going to look, that I was going to work on getting my gun set up. I got a dead rest, and then I looked at him. He was so big his horn came down and covered up his chest." Hairston, who has hunted for weeks at a time in the remote mountains of British Columbia and the Yukon, and who was prepared to shoot twice that distance, was ready, but Jake told him to wait. He didn't want Hairston's bullet to accidentally hit the remarkable horn. "I was so calm I could have waited for hours," said Hairston. "Then he turned to look up at his ewes, and he exposed his heart. Goliath was my ninth ram, but by far the easiest shot. I look over at Jakeâ€”he has tears running down his faceâ€”and he says, 'What did we just do?' I told him, 'Exactly what we were meant to do.' For both of us, this was a lifetime achievement award. Jake has spent his life hunting and studying desert sheep. I've spent my life designing gear for this moment." Goliath is the ram of many lifetimes. He grossed 191-7/8, and his final net score was 190-4/8, the deduction being a bit of chipping on his right horn, the one he used to break open barrel cactus. The 12-year-old ram's bases were nearly 17 inches in circumference, and both horns curled to 40 inches. He easily surpasses the existing California state desert sheep record, which was 185-4/8. "Those numbers are impressive," said Burns, who has been on scores of sheep hunts and can assess and appreciate the dimensions of a ram as well as anyone alive. "But what makes them more staggering is the size of Goliath's body. Desert sheep are small to begin with, but the nelsonii subspecies are tiny. "Goliath is the biggest wild desert sheep to have been killed in the U.S. in the last 30 yearsâ€”and among the largest Nelsons of all time," added Burns. "He's a total product of that environment, which can get as hot as 140 degrees." To Hairston, the fact that he and Franklin solved the mystery of Goliath's whereabouts is as significant as the ram's score. "Contrary to the myth, Goliath wasn't hiding from hunters," said Hairston. "I bet he was born and raised in the Billy Bobs. He'd get out of the heat and follow the girls, always coming back to the Billy Bobs. The other thing: No water means no mountain lions, and this was a place with no hunting pressure, because it was such an unlikely place to hunt a sheep. "Sometimes, hunting successfully just takes a different perspective. After hunting sheep so many times and looking at how big the ranges are in the north and then looking at the size of the range in the Orocopias, I understood that he couldn't be in the heart of the unit. Without my other sheep hunting experience, I wouldn't have been able to understand that. The hardest thing about killing a big ram is finding him. Once you find him, killing him is the easy part."